Want to give somebody an original present this Easter? How about a gift voucher for one of our heart-thumping driving experiences? Phil Price offers the kind of driving experiences that gets adrenaline pumping through your blood steam and leave you feeling 100% alive! Unlike some rally schools, our passionate instructors give you plenty of time in the cars and spend as little time on theory as possible. We look to provide a genuine experience where you get to experience a variety of techniques on real rally stages. 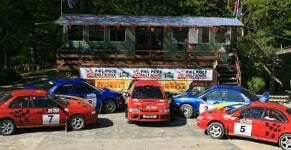 Located in Llangunllo, Powys, Phil Price Rally School is one of the founder members of BARS (British Association of Rally Schools). Our venue is one of the most exciting in the UK- set in the heart of the rugged Welsh countryside, you can zoom round at competition speeds through the rugged landscape and learn how to tackle corners, braking techniques and driving lines. Phil Price is rated highly on Trip Advisor and were awarded a Certificate of Excellence by the website for our high number of five-star reviews. Along with individual driving experiences, we also offer group and corporate bookings and put people through their MSA licence. 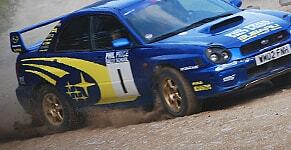 Give the ultimate gift this Easter with Phil Price Rally School.